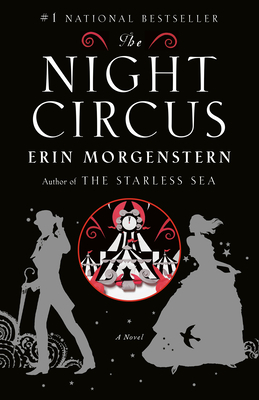 The novel opens with a quote from Oscar Wilde: “A dreamer is one who can only find his way by moonlight, and his punishment is that he sees the dawn before the rest of the world.” How is this sentiment explored in The Night Circus? Who in the novel is a dreamer? And what is his or her punishment for being so? The novel frequently changes narrative perspective. How does this transition shape your reading of the novel and your connection to the characters and the circus? Why do you think the author chose to tell the story from varied perspectives? The narrative also follows a non-linear sequence—shifting at times from present to past. How effective was this method in regards to revealing conflict in the novel? There are a number of allusions to Shakespeare throughout the text: Hamlet, Romeo and Juliet, The Tempest, and As You Like It. Explain these references—how does each play reveal itself in the novel? What role does time play in the novel? From Friedrick Thiessen’s clock to the delayed aging of the circus developers to the birth of the twins—is time manipulated or fated at the circus? “Chandresh relishes reactions. Genuine reactions, not mere polite applause. He often values the reactions over the show itself. A show without an audience is nothing, after all. In the response of the audience, that is where the power of performance lives.” How does this statement apply to both Le Cirque des Rêves and the competition? Which audience is more valuable: one that is complicit or one that is unknowing? Chandresh is portrayed as a brilliant and creative perfectionist at the beginning of the novel, yet he slowly unravels as the competition matures. Is Chandresh merely a puppet of the competition—solely used for his ability to provide a venue for the competition—or do his contributions run deeper? Marco asserts that Alexander H. is a father figure to him (though his paternal instincts aren’t readily noticeable). In what ways does Alexander provide for Marco and in what ways has he failed him? Celia emphasizes that keeping the circus controlled is a matter of “balance.” And Marco suggests that the competition is not a chess game, but rather, a balancing of scales. However, both the circus and the competition get disordered at times—leaving both physical and emotional casualties in their wake. Is the circus ever really in “balance,” or is it a pendulum swinging from one extreme to the next? From the outside, the circus is full of enchantments and delights, but behind the scenes, the delicate push and pull of the competition results in some sinister events: i.e., Tara Burgess and Friedrick Thiessen’s deaths. How much is the competition at fault for these losses and how much is it the individual’s doing? How do you view the morality of the circus in regards to the performers and developers being unknowing pawns in Celia and Marco’s competition? Do Celia and Marco owe an explanation to their peers about their unwitting involvement? Friedrick Thiessen asserts that he thinks of himself “not as a writer so much as someone who provides a gateway, a tangential route for readers to the circus.” He is a voice for those unable to attend the circus and suggests that the circus is bigger than itself. What role do the rêveurs play in keeping the spirit of the circus alive outside of the confines of the circus tents? What is Hector’s role in determining the final fate of the competition? He lectures Celia about remaining independent and not interfering with her partner, but ultimately, Hector largely influences the outcome of the competition. Explain this influence. Poppet and Widget are especially affected by the lighting of the bonfire. How crucial are their “specialties” to the ongoing success of the circus? Isobel is a silent, yet integral, partner in both the circus and the competition. She has an ally in Tsukiko, but seemingly no one else, especially not Marco. How much does Marco’s underestimation of Isobel affect the outcome of the competition? How does Isobel serve as a foil to Celia? Who, if anyone, fills that role for Marco? Tsukiko is aware of Isobel’s “tempering of the circus” from the outset and when Isobel worries that it is having no effect, Tsukiko suggests: “perhaps it is controlling the chaos within more than the chaos without.” What, and whose, chaos is Tsukiko alluding to here? Mr. Barris, Friedrick Thiessen, Mme. Padva, and even Bailey are aware that the circus has made a profound, inexplicable change in their lives, but they each choose not to explore the depth of these changes. Friedrick Thiessen confirms that, “I prefer to remain unenlightened, to better appreciate the dark.” Do you agree with this standpoint? What inherent dangers accompany a purposeful ignorance? What dangers present themselves when ignorance is not chosen? Is one choice better/safer than the other or are they equally fraught? Celia tells Bailey that he is “not destined or chosen” to be the next proprietor of the circus. He is simply “in the right place at the right time . . . and care[s] enough to do what needs to be done. Sometimes that’s enough.”In this situation, is that “enough?” Can the responsibility of maintaining the circus be trusted to just anyone, or unlike Celia suggests, is Bailey truly special? At the closing of the novel, we are left to believe that the circus is still traveling—Bailey’s business card provides an email address as his contact information. How do you think the circus would fare over time? Would the circus need to evolve to suit each generation or is it distinctive enough to transcend time?